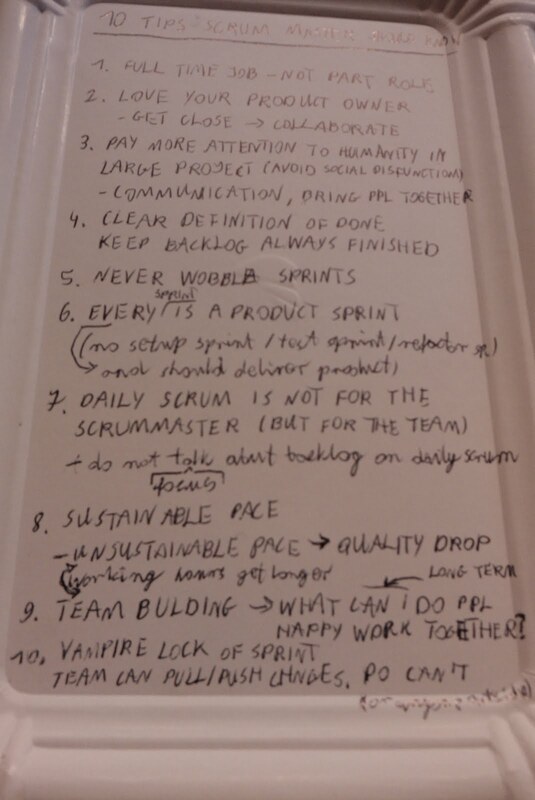 As Nigel Baker was giving his speach titled "10 tips that ScrumMasters should know, (but probably don't!)" at Winter Agile Tuning, Tomasz Przybysz was taking notes on a paper tray. I've heard the talk was pretty good and a few people were trying to copy his tray. Since the original presentation is not yet available, I thought I'll help with putting my own photo (phone quality) on-line. Maybe Tomek will take a while to put some insight into his notes? What say you, Tomasz? Click on the image to get the full (readable) size version.